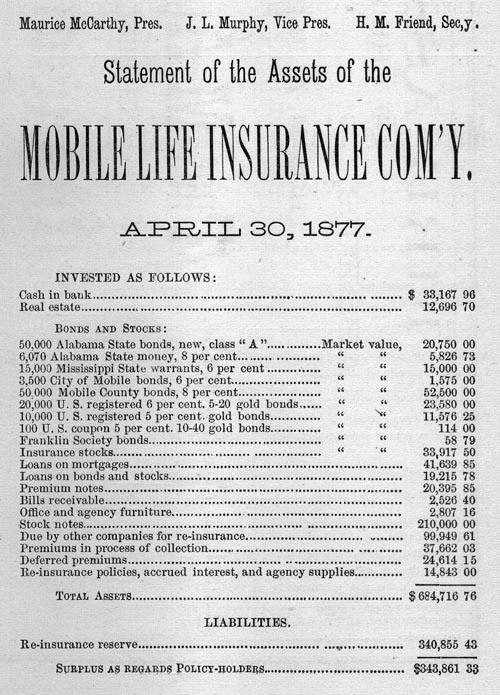 Statement of the Assets of the Mobile Life Insurance Comp'y. MAURICE McCARTHY, Pres. J. L. MURPHY, Vice Pres., H. M. FRIEND, Sec'y.